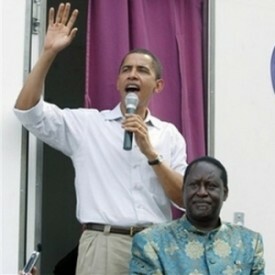 Publicly available documents revealing the Obama administration’s unwieldy portfolio of Kenyan projects – which includes a formal plan to manipulate Kenyan and global media – have been removed from a federal contracting database, WND has discovered. The sanitizing of the FedBizOpps system follows a series of WND reports on what the U.S. Agency for International Development itself has described as an“exponential increase” in U.S.-funded initiatives in the African nation. Wayne Madsen, author of the recently released “The Manufacturing of a President: The CIA’s Insertion of Barack H. Obama into the White House,” told WND that this governmental data purge – combined with the escalation of USAID projects – offers further evidence of the president’s staunch commitment to influencing Kenyan affairs. WND submitted a request to the USAID Press Office for an explanation of the government’s removal from FedBizOpps of the entire Kenya Program Support solicitation, Number SOL-623-12-000013, which included an amendment that included the USAID/Kenya Strategic Communications Plan 2012-2013.